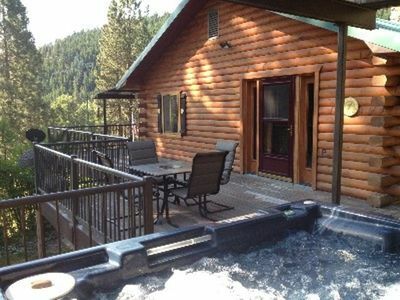 Naches River House, Nile Valley - Spacious, Sleeps 8, Pet Friendly! 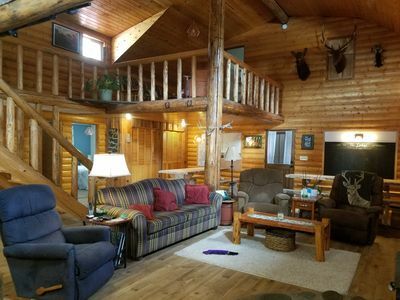 First floor entry with large windows facing the river and hot tub area and you'll find coat racks, seating bench, room for gear, a washer/dryer, and utility sink. From time to time, a caretaker will be staying in part of the first floor, maintaining a separate entrance and private bath than the guests. Well Appointed with All Modern Amenities; Kitchen Island Seats Four; Bar Height Dining Table Seats Four. Coat Closet; Coat Rack; Seats Five in Leather Recliners and Sofa; DISH Television; Wood Stove; Ceiling Fan; Books; Magazines; Family Games; WiFi. Gas Grill; Picnic Table; Lounge Seating (bring your binoculars to spot wildlife on the hillside). The deck is spacious enough for several people to enjoy yoga sessions. Bring your mat. 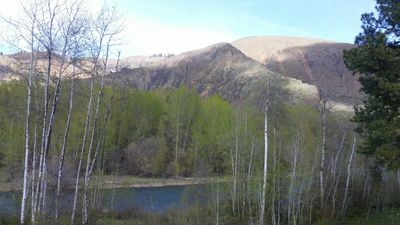 Take in the view and sounds of the Naches River. Handcrafted Pine Bedframe; Pine Dressers; Table from Spirit in the Wood, Naches. Handcrafted Tiffany Style Accent Lamps Create Ambiance. This queen mattress is really comfortable and you'll find the bed made with newly purchased linens. A very spacious bedroom suite, more than comfortable for two. Table and Chairs for Two on the Private Deck. Take in the morning sunshine with coffee and a good book. In the winter you'll know exactly how much it's been snowing as this deck is not covered. Locally Handcrafted Pine Bedframe; Pine Dresser. Handcrafted Tiffany Style Accent Lamps Create Ambiance. Bedroom Views to the South Entrance . This queen mattress is really comfortable and you'll find the bed made with newly purchased linens. A smaller room comfortable for two. Double Sink; Bath Tub; Shower. Outdoors, ground floor. 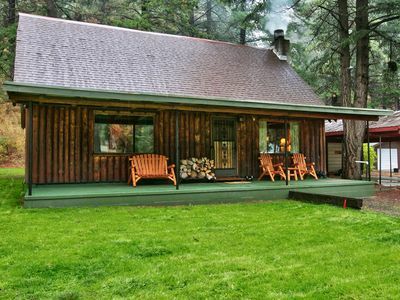 Indulge in the rejuvenating mountain weather, fresh air and hot water! Watch the sun rise or star gaze at night. Hydro-Therapy = Heat Up, Cool Down, Repeat. Circular driveway with ample parking makes it easy for vehicles hauling recreational trailers to cruise in and cruise out without backing up. Did we say we love dogs? This property is DOG FRIENDLY! Well behaved dogs are welcome on the property at an additional fee with pre-approval only. We love dogs and we thank you in advance for using the complimentary doggy poop bags. Bring Fido's bed with you and invite him inside. Pet throws are also provided to protect bedding and furniture, please use them. Keep dogs under control and within the bounds of this property at all times. Please be aware of noise levels. While we are in the mountains there are also neighboring residences. Keep noise levels reasonable, especially into the evening hours and drive slowly down the common driveway please. Clean linens, kitchen towels, bath towels, bath soap and paper products are provided as basic amenities. There is no daily housekeeping service. If you are planning an extended stay we will accommodate your needs. Bring your own toiletries, favorite coffee and eats. 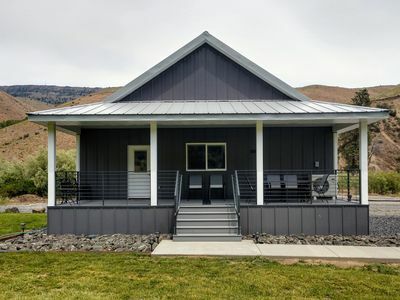 Enjoy the many local Farm and Fruit Stands, Eateries, Brew Pubs, Wineries, Seasonal Events and Festivals that are abundant and ongoing in the Yakima Valley. Plan ahead with your food and beverages! The best grocery services are located in Yakima 30 miles away....Fred Meyers at the Yakima 40th Avenue exit really is one stop shopping. We're just getting going as a vacation rental and value your business, time, and feedback! Thank you for viewing our property, whether you are new to the area or know the area well, we look forward to assisting with your get-a-way to de Nile travel planning! 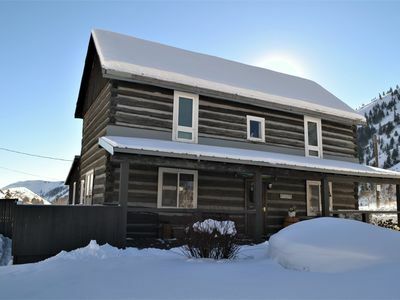 American Homestead Log Cabin with Gorgeous Scenic Views! 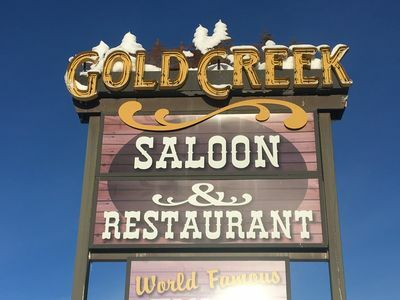 Stay in a little piece of history at Elk Ridge Lodge!